I have long been interested in the evolution of Union soldier opinion on the question of slavery. The Army of the Cumberland, being largely composed of Midwesterners, contained fewer men in the ranks who might be considered initially inimical to the Peculiar Institution when they enlisted. New England, after all, was considered the bastion of abolitionism in the United States. That’s not to say that there weren’t regiments imbued with anti-slavery fervor. The 92nd Illinois was certainly an “abolitionist” regiment, for example; as was the Norwegian 15th Wisconsin and most of the German units. A number of Quakers also left their faith to join what they considered a higher cause, as well. The 27th Illinois was not such a unit. The regiment was raised in southwestern Illinois, near Saint Louis and along the Mississippi River. In general, the men fit the classical pattern of early-war Union troops: motivated to restore the Union but not caring all that much about Slavery. Captain John F. Glenn commanded Company F of the 27th. Glenn was Irish-born, his birth date in the 1850 census given only as “abt [about] 1838. His family emigrated in the 1840s, possibly because of the Potato Famine. 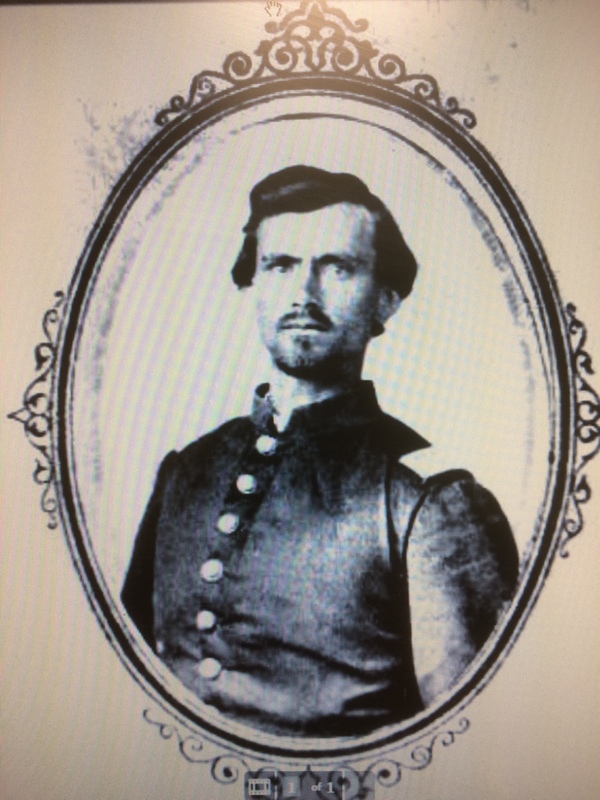 He enlisted as a sergeant, 22 years of age, and was promoted to Captain in January 1863, after the battle of Stones River. Yours of the 9 inst was received about ten minutes since. I was pleased [to] learn that you was at the time of writing well but I was not pleased at that part of your letter where you sympathize with the vile traitor Valandigham. “He is a much abused man” you say. I deny it and assert that if justice had been done he would have been in eternity. Have you read his speeches of the past two years? Within a few yards of my tent stands the gallows where on thirty two Union Tennesseans were murdered for being devoted to the Union and the old flag. Their wives and children can be seen at any time at this place or rather in the neighborhood. I can point you to the graves of old grey haired men who because they would not inform where their sons were that was hid in the mountains, were taken out and shot down like dogs. I have seen poor helpless women who were taken out of their houses tyed up stripped and whipped for expressing their loyalty to the old flag. When I look round and see such scenes as these and then remember that such vile damnably villains as the wretch they call a man – Valandigham – has friends and sympathizers who call themselves Americans it makes me blush with shame for the honor of my country. For God sake if you know what you are about do not befriend this devil and his case. Slavery is doomed!! And all the powerrs of Hell can not prevent it!! This Union will be restored!! I fully believe it to be the Divine Will and His Will will be done in spite of the low vile Rebles of the North or South. It may reuqire years to do it but it will be done…. 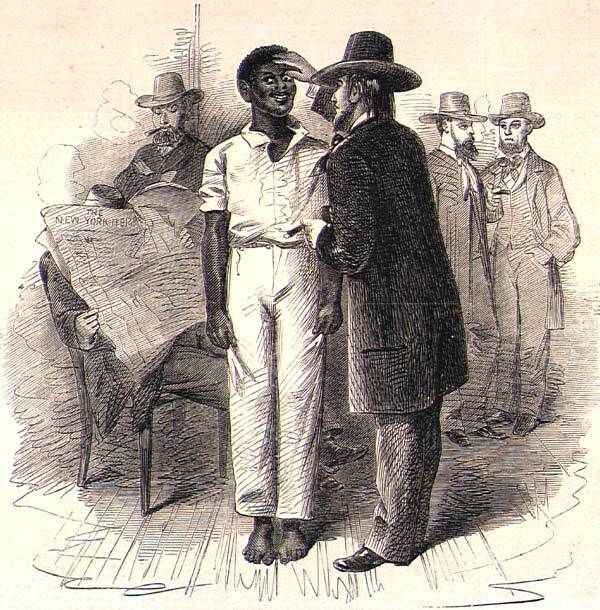 What a pitty that the pet institution of a few damned fools of the North is a “poor case.” I was a strong proslavery man when this war began but I would be false to every sence of honor and justice if I remained so after seeing what I have. Interestingly, Glenn doesn’t really comment on the effects of slavery on the slaves themselves – he is more about ending slavery as a means to an end – but it also seems clear that he wouldn’t accept “the Union as it was” either. Note: The John Glenn papers reside at the Abraham Lincoln Library, Springfield IL. Transcription originally prepared by Dr. William G. Robertson.